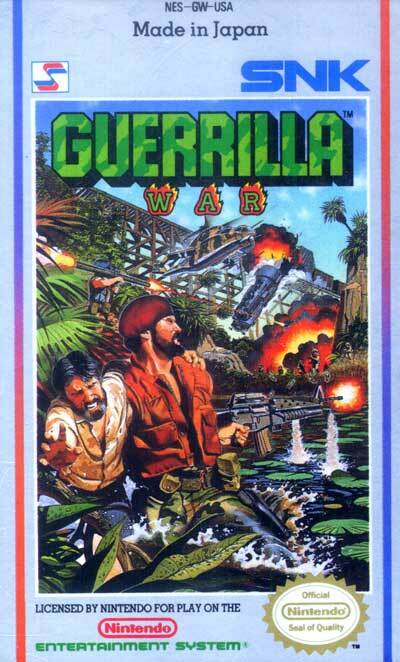 Guerrilla War follows the adventures of two unnamed rebel commandos as they raid an unnamed Caribbean Island in order to free it from the rule of an unnamed tyrannical dictator. Along the way the players vanquish hordes of enemy soldiers while attempting to rescue hostages (with large score deductions for any hostages killed in the crossfire). The game holds the distinction of being the only commercially released game based on the exploits of a Marxist revolutionary.